Atomic has been building ski equipment with know-how and a passion for skiing for over 60 years in Altenmark, Salzburg. Numerous professional athletes at the World Cup top rely on the material of the Salzburg-based company. At the CES 2019, the Las Vegas Consumer Electronics Show, Atomic introduced the HAWX ULTRA CONNECTED, the future of ski boots with an innovative digital ski concept. Atomic’s HAWX CONNECTED concept was developed in collaboration with biomechanics experts from the University of Salzburg and the data experts from Salzburg Research. 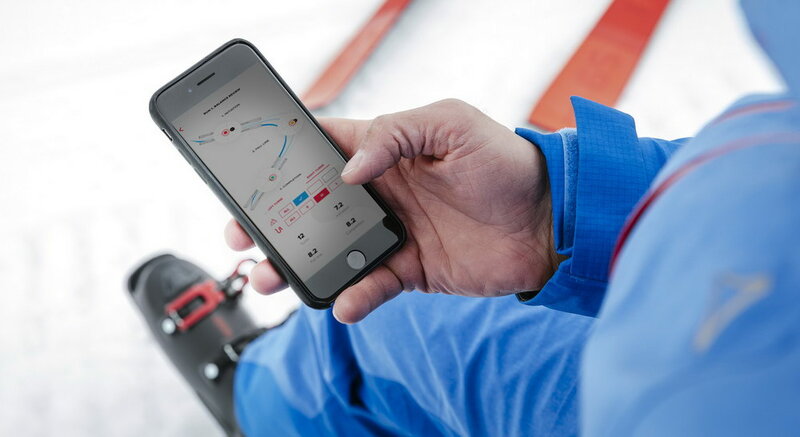 Atomic’s free mobile Connected app brings state-of-the-art digital tracking and analysis capabilities to feedback directly on the slopes for an improved skiing experience. This allows both professionals and pleasure skiers to refine quality details such as balance, pressure control, edge guidance and much more. With embedded, Bluetooth-connected force sensors in the ski boot, the Atomic Connected App provides sensory feedback from the boat for smarter, safer and better-assisted skiing. Salzburg Research developed and implemented the algorithms for real-time and offline analysis of the skiers’ movement data in cooperation with the Sport Science of the University of Salzburg. The data base is the sensor integrated in the Hawx Ultra Connected Ski Boot. Suitable methods for spatio-temporal data analysis using methods such as machine learning and neural networks allow the extraction and thus a smart representation of relevant information in the Atomic Connected App. The further development of the Hawx Ultra Connected Digital Boot and other smart sports products takes place in the COMET project “Digital Motion”. The goal is to further expand the topic of Digital Sports, to be able to better evaluate the quality of the movement, to individualize sports equipment and to increase the overall enjoyment of the movement.